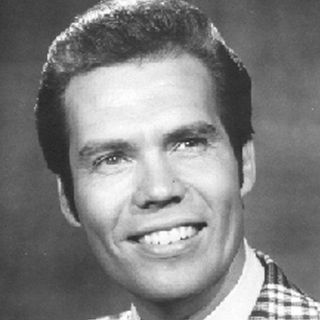 Robert Wilkie "Bobby" Burgess (born May 19, 1941, Long Beach, California) is an American dancer and singer. He was one of the original Mouseketeers. Later, he was a regular on the The Lawrence Welk Show.Growing up in Southern California, Burgess first started performing at age five, which included dancing, singing and playing the accordion. In 1955 he was selected as one of the original Mouseketeers by Walt Disney to appear on his new ABC television series, The Mickey Mouse Club, ... See More giving young Burgess his first taste of celebrity. He also guest starred on The Donna Reed Show as a suitor of Mary Stone (Shelley Fabares). Burgess attended Southern California Military Academy in Long Beach for his elementary and junior high school.When the series ended in 1959, Burgess returned to a normal teenager's life, completing high school. He then began attending Long Beach State University where he became a member of Sigma Pi fraternity. While there, he and his childhood friend (and dancing partner) Barbara Boylan entered a Calcutta dance contest held by Lawrence Welk and his orchestra based on the hit song of the same name. They won the contest and first prize was an appearance on The Lawrence Welk Show, which appeared nationally on ABC. After their initial appearance, Burgess and Boylan continued to guest on the maestro's show for the next few weeks, either dancing to Calcutta or to the orchestra's next hit song Yellow Bird. The positive fan response led to Welk hiring the dance couple as permanent members of the show, which was described by the maestro as having created a job for themselves. Over the course of the show's run, first on ABC and later in syndication; Burgess had three dance partners: Barbara Boylan from 1961–67 and was a temporary fill-in for a few shows in 1979, Cissy King (1967–78), and Elaine Balden (1979–82). He did song-and-dance numbers with Arthur Duncan and Jack Imel and co-hosted, with Mary Lou Metzger, wraparound segments on The Lawrence Welk Show's PBS reruns in 2010.